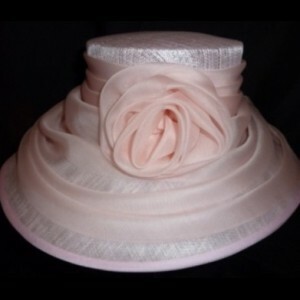 Baby pink sinamay with a large oval brim. 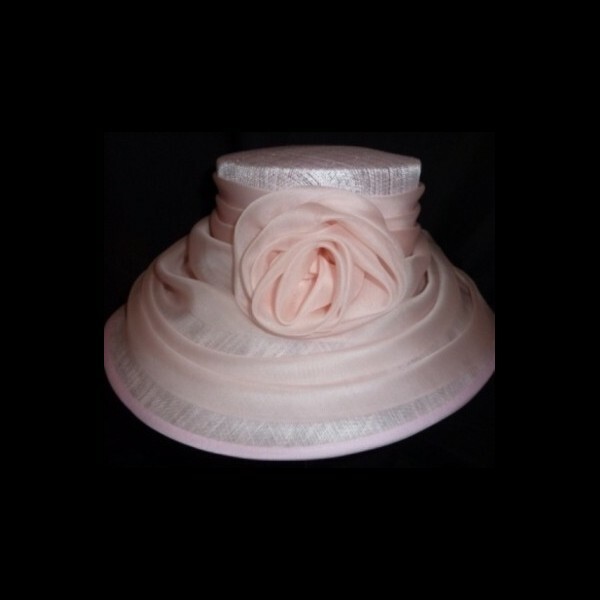 Matching pink organza around the crown and brim, finished with a large organza flower. 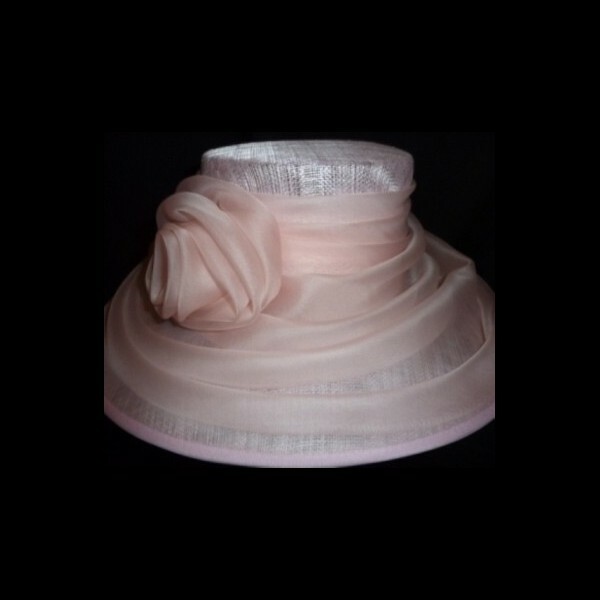 Baby pink sinamay, with matching pink organza around the crown and brim, finished with an organza flower. 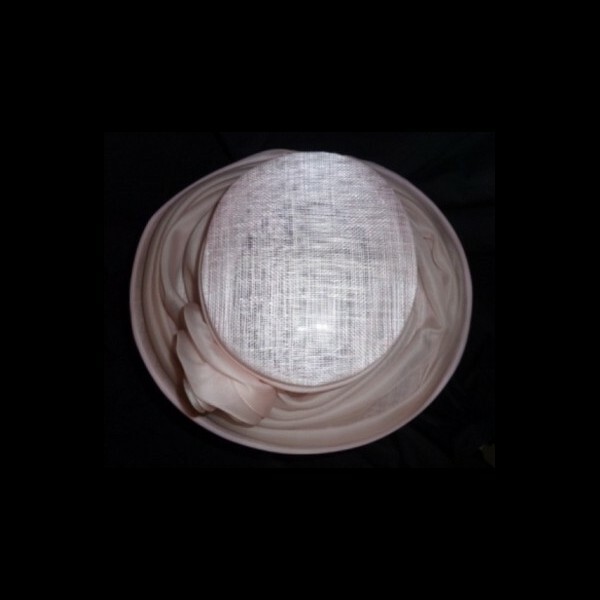 The oval shaped brim measures 18”/46cm from side to side and 15.5”/39cm from front to back.